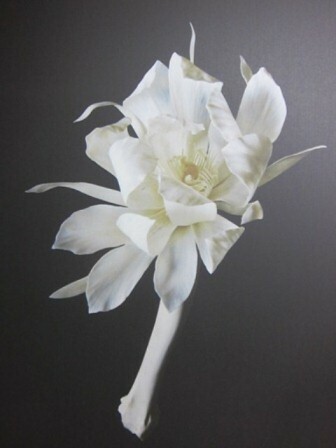 In fact, the work Gekka bijin (Epiphyllum oxypetalum, pictured above) is even featured on the cover of the latest Waraku magazine. As you would expect from these professionals, each article is fascinating to read, and we are very grateful for their interest in and coverage of Hashimoto's work. I look forward to pouring over them more thoroughly, and hope that you too will stop by a nearby bookstore to have a look and perhaps even pick up an issue yourself! 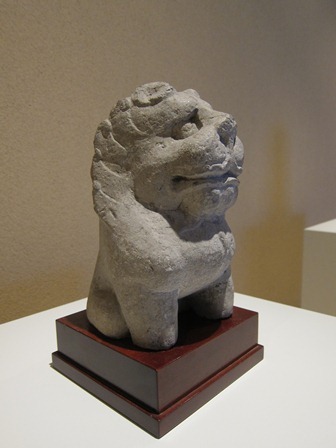 This time I would like to share with you a Chinese shishi lion sculpture (Sui Dynasty, 6-7 cent.). 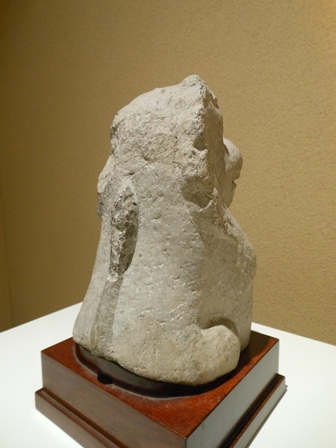 As with the monster I introduced before, this piece also comes from the Xiangtangshan caves. In caves such as this, Buddhist figures and texts were carved into the stone walls in high relief, but this sculpture is in the full round. You can even he his tail standing at the back. It seems that this piece was carved independently and not carved into the wall. Though lions have been called the kings of the jungle since long ago, this one has quite a charming expression. 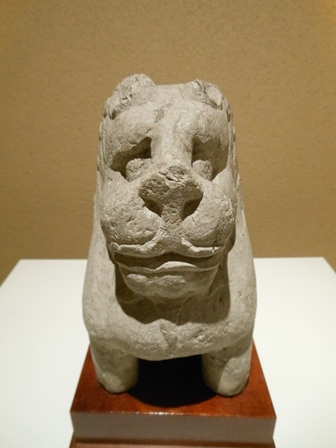 At that time in East Asia, however, people who had the opportunity to see a real lion must have been incredibly few. It is likely that they based their imaginings of the animal on imagery, written descriptions, or rumors. 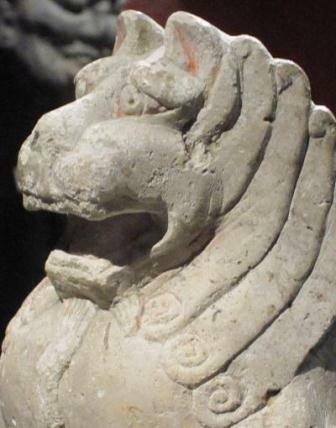 Looking only at this piece, it would seem that people of that time had a fairly playful image of lions. Of course, not all representations had this type of expression, and many have more severe, or even sad expressions. The exhibition finishes this Friday, September 21st. We hope you will come by and have a look before then! We apologize for the inconvenience, but London Gallery's Shirokane Location will be closed on Saturday September 8th from 1:00pm. The gallery in Roppongi will be open according to its regular schedule, however, so please feel free to stop by and visit us there.